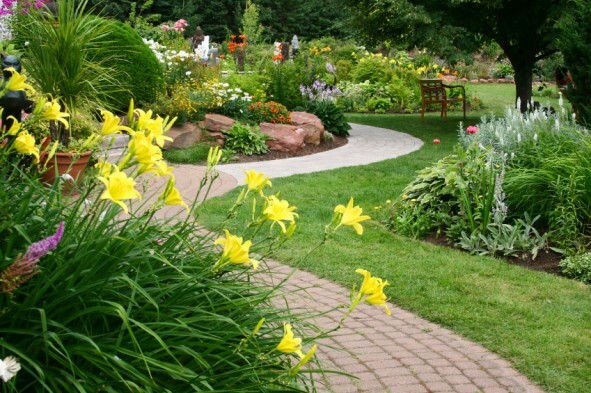 Gardens have the ability to bring people together, refresh the mind, and regenerate the soul. What informs a good design? Every situation has unique challenges, as well as opportunities to create a place for re-connecting with the harmonious diversity found in the natrual world. Symbolically, this dynamic environment represents the balance of chaos and order; a setting where the wild and civilzed self feels at home. Whether your garden is used for socializing, recreation, growing food, or just a cozy respite from the summer sun, gardens are an integral part of a healthy lifestyle. Designing places and programs that leverage the therapeutic impact of interacting with nature and natural elements.